Volume 2 carries on the methodical and didactic line established in volume 1while ensuring that learning is fun! Continual progess is very important here, as are the development of various different musical and stylistic capabilities. Well-known songs and duets help improve embouchure, playing technique and general musicality. 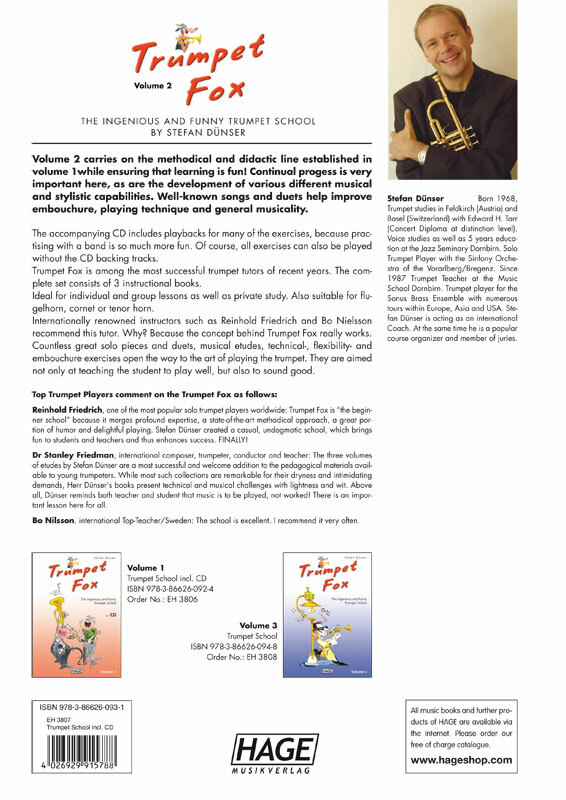 The accompanying CD includes playbacks for many of the exercises, because practising with a band is so much more fun. Of course, all exercises can also be played without the CD backing tracks. 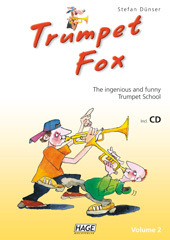 Trumpet Fox is among the most successful trumpet tutors of recent years. The complete set consists of 3 instructional books. Ideal for individual and group lessons as well as private study. 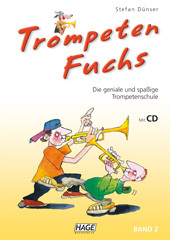 Also suitable for flugelhorn, cornet or tenor horn. Internationally renowned instructors such as Reinhold Friedrich and Bo Nielsson recommend this tutor. Why? 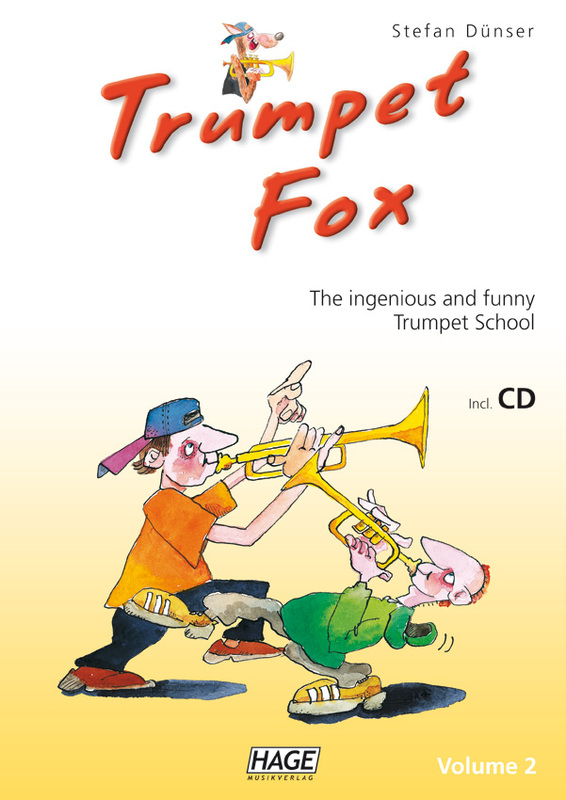 Because the concept behind Trumpet Fox really works. Countless great solo pieces and duets, musical etudes, technical-, flexibility- and embouchure exercises open the way to the art of playing the trumpet. They are aimed not only at teaching the student to play well, but also to sound good.